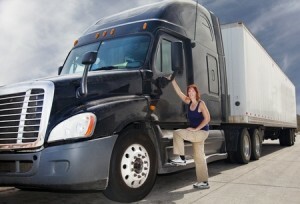 agency for truck drivers | Platinum Drivers Inc.
What is Life Like as a Truck Driver? Life as a truck driver is, jokingly, like life as a rock star without the audience applause every night. In other words, it involves a lot of travelling (or “touring”), going to many different places and not staying there long. It is an opportunity to travel across the country, and rarely be stagnant in one place. Pick up the load. Deliver the load. Then it’s on to the next load. Repeat. One day you’re in Buffalo, the next Dallas. Or Phoenix to Houston. Or Peoria to Tulsa. For the majority of truckers, there will be many familiar routes they do over and over again, along with some other oddities that happen once a year or less. It’s both predictable and unpredictable, and as a trucker, you’ve got to go with the flow. You’re being paid to haul goods from one point to the other in a timely and safe manner. That’s your job. Driving a truck involves being vigilant about safety. Is everything tied down? Are the lights all working? Is the road up ahead too icy today? Decisiveness is a good trait for truck drivers to have. Sometimes it seems like the trip never ends… hours and hours sitting behind the wheel, where all the roads start to look the same. Meanwhile, along the way, there are all sorts of people to deal with, from truck stop waitresses to customers, vendors, and, of course, non-commercial drivers. Don’t forget the weather, as it’s always changing. One minute it can be sunny and warm, and the next it can be dark and snowy. Most truck drivers love their jobs for the same reasons. In addition to having a (paid) opportunity to travel throughout the country and perhaps even beyond our borders, the demand for truck drivers is almost always high, which creates strong job security and a handsome pay rate. For many, they couldn’t imagine another career path. If you are looking for a truck driving job, click here to check out our driver resources.